Amazon's in-app purchases are all part of its plan to make monetization easier for developers. Up until now, Amazon's games didn't monetize through in-app purchases, because they couldn't; the infrastructure wasn't quite there yet. All that has changed with the latest Amazon announcement: in-app purchasing for Mac, PC and web-based games. You'll be able to spend to your heart's content, using credit cards, Amazon gift vouchers or promotional credit. Thanks to Amazon's marketing data, it will also be able to target you with ads - well, recommendations - for content it thinks you might enjoy. "For years," says Mike Frazzini of Amazon Games, "Amazon has focused on making the online shopping experience as frictionless as possible, and we are excited to share this expertise and technology so that game developers can offer customers this same great experience." However consumers may feel about in-app purchases, developers need to make bank somehow. Plus, Android gaming in particular may be about to change, what with GameStick and Ouya jockeying for position. 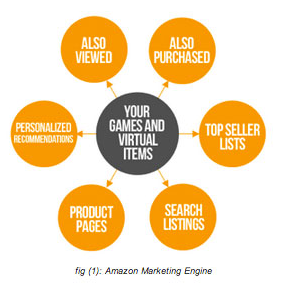 "Amazon provides the most complete platform for game developers," its press release reads, offering fraud protection, in-house customer service and its marketing engine; tempting stuff, from a developer's perspective.